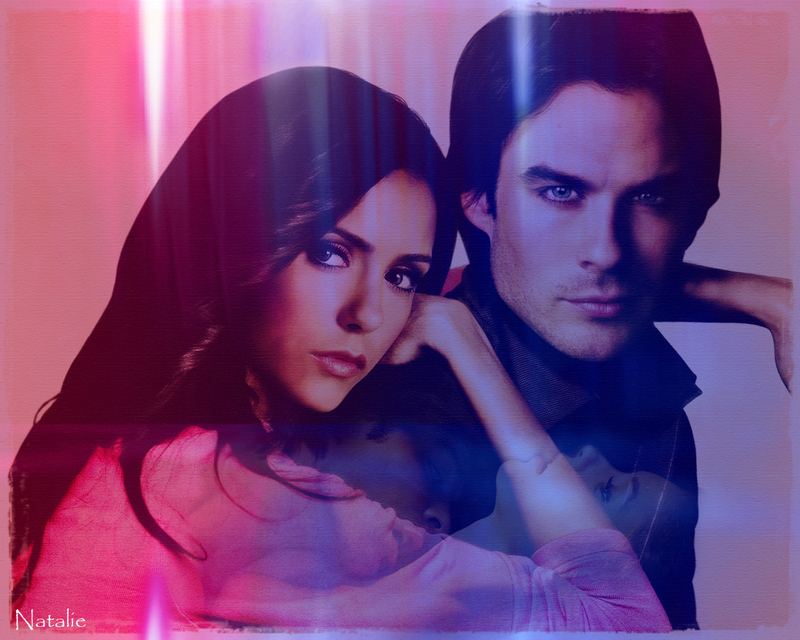 Elena & Damon. . HD Wallpaper and background images in the diários do vampiro club tagged: the vampire diaries diaries vampire the vampire diaries wallpaper damon and elena wallpaper. This diários do vampiro wallpaper might contain retrato, headshot, close up, and closeup.